December 19, 1972: The splashdown of Apollo 17 marks the end of the United States’ manned moon exploration program. 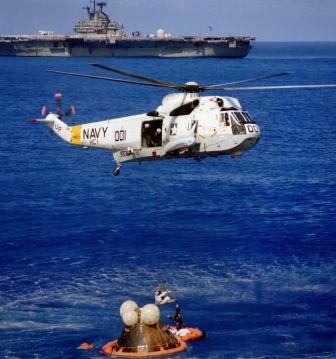 The Apollo 17 spacecraft landed in the Pacific Ocean at 2:25 p.m. and soon after Commander Eugene Cernan, Command Module Pilot Ronald Evans, and Lunar Module Pilot Harrison Schmitt were picked up and flown by helicopter to the recovery ship U.S.S. Ticonderoga. Although that closed the first chapter in the history of manned space exploration, it is not the most famous fact about the mission. 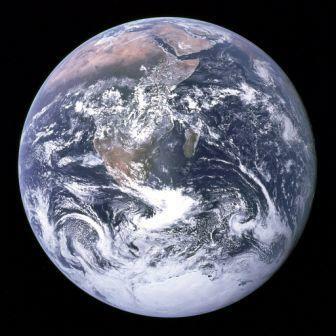 As Apollo 17 was en route to the Moon, the crew took a photo of the Earth from space that became known as “The Blue Marble” photo. NASA archivist Mike Gentry has speculated that may be the most widely distributed image in human history. 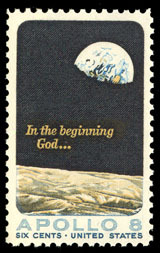 The “Big Blue Marble” should not be confused with the famous “Earthrise” image taken by Apollo 8, and used in a 1969 stamp commemorating the mission. 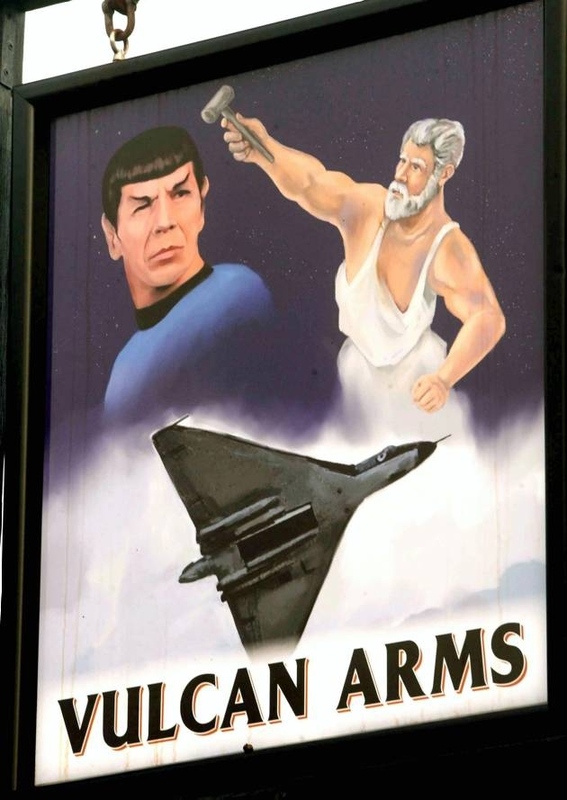 Apollo 17 is also notable for furnishing pop culture with a couple of fictional characters. One-time astronaut Steve Austin of The Six Million Dollar Man (based on the 1972 novel Cyborg) is described in the book as watching the Earth “fall away during Apollo XVII” – indicating he was aboard the spacecraft. Likewise, in Deep Impact (1998), the President calls Spurgeon “Fish” Tanner, portrayed by Robert Duvall, the “last man to walk on the moon,” implying he was a crew member. Fans will make a pilgrimage to the Kansas Cosmosphere and Space Center in 2010 to mark the 40th anniversary of the Apollo 13 mission. Roger Tener and readers of Chronicles of the Dawn Patrol have circled the April 16-17 weekend on their calendars when Astronauts Jim Lovell and Fred Haise, Flight Director Gene Kranz and other Mission Control and NASA personnel are expected to join the celebration. The Cosmosphere did the Apollo 13 command module restoration and keeps it on display along with Jim Lovell’s flown spacesuit. The 40th anniversary weekend will include panel discussions, screenings of the Apollo 13 movie and other documentaries, a gala dinner, a chance for photos with the Apollo 13 Command Module, and autograph opportunities.